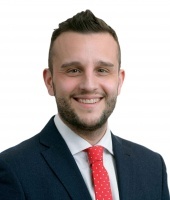 United Trust Bank have appointed Simon Burnell as head of product development for mortgages and bridging. Burnell has over 20 years’ experience in the specialist mortgage industry, and was formerly Vida Homeloans director of sales. The responsibilities of the new role include monitoring and analysis of UTB’s existing mortgage and bridging products, as well as identifying and delivering new mortgage products and lending volumes in-line with growth. UTB commercial director of mortgages Buster Tolfree says: “Simon’s appointment in this new role increases our capability to deliver innovative new products whilst continuing to ensure that our current suite remains competitive. “Simon will work closely with Mike Walters and I, as we evolve UTB’s offering both in terms of products and distribution.